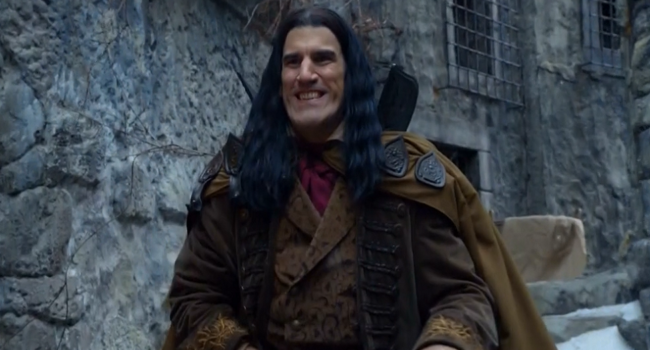 On The Strain, Jusef Sardu (Robert Maillet) was a friendly, 19th-century Polish nobleman afflicted with gigantism. When he’s attacked by the master of an ancient line of vampires, the strigoi, he becomes the master’s host body. His signature wolf’s head sword cane would later come into the hands of a Nazi war criminal, and later Professor Setrakian, who uses it to fight the strigoi. If you prefer Sardu after his transformation, there is a mask available for the Master.